Being a media specialised in fintech reporting provides us with an unparalleled view of the emerging trends and players in he space. After tracking the performance and announcements from hundreds of Hong Kong based fintech companies, here are (in our view) the top 20 fintech companies operating in Hong Kong in 2019. Futu Securities is a recognized fintech unicorn and one of Asia’s top-ranked online brokers, providing a one-stop online investing services and experience. Registered by Hong Kong’s Securities and Futures Commission (CE No. AZT137), Futu redefines online brokerage services in Hong Kong and Mainland China with its leading Internet and financial technology. Futu Securities’ investing platform, Futu Niuniu, provides market data, trading service and news feed, covering Hong Kong, Mainland China and US stock markets. The platform has over 5 million users. FinEX Asia is a global fintech platform connecting professional and institutional Asian investors with high quality, low volatility asset classes, including US consumer loans. The company aims to maximize return for qualified investors through technology, professionalism, expertise and an extensive global network. Asset management is FinEX Asia’s core business. Combining rich risk management expertise and advanced fintech technology, FinEX Asia launched Asia’s first fintech asset management platform. Through this platform, professional and institutional investors can access a series of FinEX Asia funds that are carefully structured through advanced risk modelling capabilities, blockchain data security and real-time performance monitoring. FinEX Asia is also committed to global investment services through an international network and presence. The team of financial professionals is dedicated to providing the best options for qualified Asian investors interested in gaining easy access to strong, high performing asset classes around the globe. FinEX Asia Investment Limited is an SFC regulated entity and is a strategic technology partner of Dianrong, a leader in online marketplace lending in China. Neat is a mobile current account solution that allows users to follow their finances and set saving goals entirely digitally. Neat started with the aim of taking away the obstacles customers face in dealing with traditional financial institutions: the paperwork, bureaucracy and long waiting times. With Neat, everything can be done online, whenever and wherever works for customers. Pricing is fair, and there are no hidden fees. And unlike traditional financial institutions, the company focuses on user experience and engaging with its community every step of the way. Neat currently provides a personal and business account offering. Gini is an app that helps users manage your personal finances and get rewarded for it. The platform lets users link all their bank accounts, credit cards and mobile wallets, and see all their transactions in one place. This allows them to track their spending across all accounts with beautifully enriched transactions. 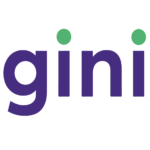 Gini also provides recommendations on spending, and targeted rewards and offers. Gini works by securely accessing transaction data in read-only mode. That means it can only view encrypted transactions. CompareAsiaGroup is a leading financial management platform in Asia. The company helps people across Asia save money and make better choices about personal finance with comprehensive, free and independent online comparison and management tools for insurance, credit cards, personal loans and other financial products. CompareAsiaGroup partners with the leading financial institutions in Asia to compare over 2,500 products. Launched in 2014, the firm employs more than 150 financial experts and technologists and has a presence in Hong Kong, Indonesia, Malaysia, the Philippines, Singapore, Taiwan, and Thailand. In November 2018, it launched CreditGo, a platform in Hong Kong that offers consumers free access to their full personal credit scores and reports. Bitspark was founded in 2014 to transform how money moves across the world and was the first to utilize cryptocurrency for money transfers without banks. Since then, the company has built an end-to-end ecosystem to provide a better alternative to the legacy financial system. Bitspark focuses primarily on the Asian and African regions. The company recently launched the first stablecoin pegged to the Hong Kong dollar (HKD). FinFabrik is a fintech firm headquartered in Hong Kong, with offices in Shenzhen and Vienna. Founded in 2016, it aims to transform financial services leveraging blockchain and artificial intelligence to achieve broader financial participation. Its suite of solutions empowers and connects both asset owners and investors via three pillars: issuance (Crosspool), trading (CryptoFabrik) and market-making (QuantFabrik) of digital assets. Storiqa was founded in August 2017 with the aim of creating a quick-to-setup marketplace for small and medium-sized enterprises (SMEs) with minimal financial borders and global transactional fees. Their key features and tools are based on using cryptocurrency and blockchain technology to resolve existing industry problems between buyers and sellers. With an easy-to use online store builder, any seller is able to create their own storefront to sell their goods, while making use of the platform’s wide range of features for a minimal fee. 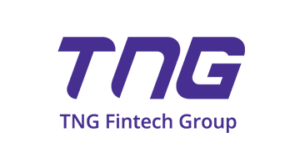 TNG Wallet is the product of TNG (Asia) Limited, a member of the TNG Fintech Group and the Global E-Wallet Alliance. As “a next generation” e-wallet which revolutionizes the way consumers shop, pay and transfer money, its functions include payment for purchases, global remittance, peer-to-peer (P2P) money transfer, global bill payment, global cash withdrawal, global SIM card airtime top-up, foreign exchange transaction, merchant dollar purchase, e-coupon redemption, e-ticketing and more. TNG Wallet secured the Stored Value Facilities License (SVF0003) from the Hong Kong Monetary Authority in August 2016. EMQ is building a financial settlement network across Asia with a focus on remittance, providing secure and affordable money transfer options for businesses and individuals. EMQ has established a resilient and regulatory-approved network that provides access to the diverse Asia markets and the necessary infrastructure to support the remittance requirements. The company’s footprint covers across China, Hong Kong, Singapore, India, Indonesia, Japan, Vietnam, Cambodia and the Philippines. Most recently it was the first to receive a sandbox license from Taiwan. 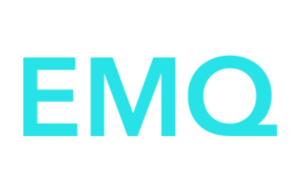 EMQ leverages a strong partner ecosystem of financial institutions, telecommunications service provider, messaging platforms and payment processors to offer customers a seamless cross-border remittance experience with immediate access to thousands of distribution points across North and Southeast Asia. Airwallex is a fintech company redefining payments globally. In the span of three years, Airwallex has secured over US$102 million in external funding, supported by top-tier investors including tech giant Tencent, Sequoia Capital China and MasterCard. Airwallex uses advanced technology to enable low-cost, high-speed and transparent international payments encompassing the entire cross-border payment value chain, from global collection to foreign exchange and international payments. Led by a highly capable, experienced, and driven executive team, Airwallex has established international offices across Hong Kong, Shanghai, Shenzhen, Beijing, Singapore, London and San Francisco. Headquartered in Hong Kong, Oriente is a leading financial services and technology company committed to unlocking financial inclusion for underserved communities in emerging Asia. 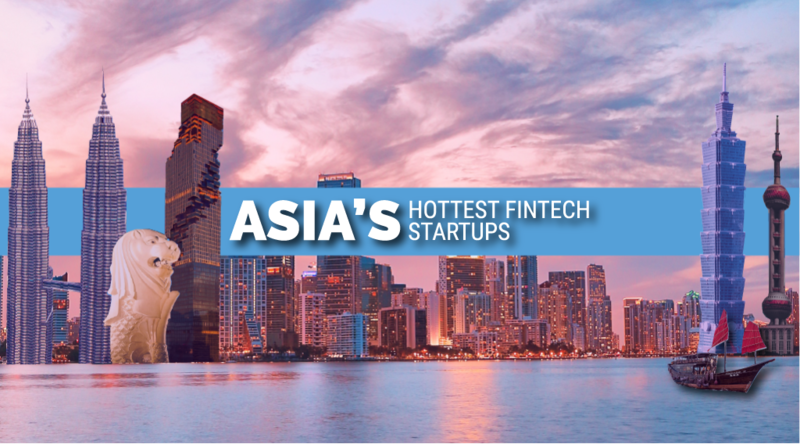 Using cutting-edge technologies including AI, machine learning, and data science, Oriente is building solutions that provide real-time credit scoring, digital and O2O lending and other tailored financial services to millions in Southeast Asia’s fastest-growing economies. The company has recently rolled out two app-based ventures, Cashalo in the Philippines and Finmas in Indonesia, which are both continuing to see unprecedented growth in user base and transaction volumes since their respective launches. Oriente was founded in 2017 by former Skype co-founder and CSO, Geoffrey Prentice; former founding CTO and COO at LU.com, Hubert Tai (CEO); and founder of BlackPine Private Equity, Lawrence Chu. MioTech is an AI platform that turns data into insights, empowering financial institutions to better make decisions. The platform studies rich data across various sources around the world, helps businesses visualize relationships, discover connections, identify market trends, reveal hidden patterns, and present in an ease-to-use interface with a snap of a finger. Founded in 2016, the company is backed with Horizons Ventures, ZhenFund, and prestigious individual investors around the world. It now has a team of top-notch employees across 3 cities: Shanghai, Hong Kong and Singapore. Founded in 2013 in Hong Kong, WeLab is reinventing traditional financial services by creating seamless mobile lending experiences. With its proprietary risk management technology, WeLab effectively analyzes unstructured mobile big data within seconds to make credit decisions for individual borrowers. WeLab operates WeLend in Hong Kong, Wolaidai (我来贷) in Mainland China and a fintech joint venture AWDA in Indonesia. The company also partners with traditional financial institutions which utilize WeLab’s technology to offer fintech-enabled solutions to their customers. WeLab was named in a KPMG-sponsored report as one of the top 100 fintech companies in the world – #7 in China and #23 globally – and was ranked by Deloitte as the #1 fastest growing tech company by revenue in Hong Kong and #4 in China. Qupital is an online platform that allows businesses to selectively sell their invoices to receive advance cash quickly and efficiently. The platform has a competitive pool of funders who are actively seeking to purchase invoices. Qupital was founded by a team of entrepreneurs from the financial and technology fields with a desire to innovate the way working capital is financed. Chekk provides businesses with a one stop shop to manage their digital identity, AML (anti money laundering) and KYC (know your customer) journeys. The company’s corporate clients receive validated and up-to-date digital identity and KYC information in a fully automated fashion, providing the right means to be fully compliant with internal policies and regulatory requirements. It is also a great tool for businesses to improve their customer experience for on boarding and data exchanges. Chekk integrates social networks, bank systems, data verification and web services through its web portal and mobile app. Individuals can store their digital identity and can reuse their data as often as they need. All data is encrypted and stored securely. KYC-Chain is a B2B managed workflow application built on distributed ledger technology (DLT) that enables organizations to better manage their KYC processes for both individuals and corporates. It is a white labelled end-to-end solution that streamlines the onboarding process for businesses’ customers, and greatly improve efficiency their compliance teams. Know Your Customer is run by a global team of professionals specializing in risk and compliance, technology, finance and law. The company aims to reinvent the client onboarding process by offering an efficient identity verification solution that helps institutions meet regulations, generate new revenue streams, and reduce costs. 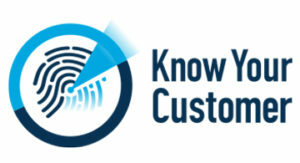 Know Your Customer works as the technology partner for firms in banking, law, insurance, accountancy and other fields in need of efficient customer ID verification. The company’s high tech solution can reduce the average industry client onboarding time from 26 days to 1 day using its technology to verify original source documentation. CoverGo provides insurance enterprise software solutions to insurers, brokers and bancassurance in Hong Kong and internationally. CoverGo’s award-winning tech platform helps companies increase productivity through automation, grow business and cross-sell, and improve customer engagement. CoverGo uses advanced algorithms and big data analytics to compare insurance products, consolidate insurance policies and highlight insurance needs. CoverGo’s comprehensive enterprise software solutions enable insurers and brokers to create, manage and distribute insurance products faster than ever before. Wesurance uses innovative mobile technology including AI and electronic KYC to bring insurance to people who have never had it before. Wesurance is the first mobile-only app providing an insurance product tailored for domestic helpers. The company offers WeOo Premium, a micro-insurance product, as well as a personal accident insurance product for domestic helpers working in Hong Kong, and other products. The Wesurance platform aims to modernize the entire insurance ecosystem, simplifying the purchase and claim procedures and providing personalized products to customers.